Many leading experts say the leading nutritional problem in the US today is too many “empty calorie foods”. Foods that contain simple sugars for the body to burn but lack many essential nutrients necessary for the body to maintain a healthy balance and repair & rebuild tissues. Lack of these essential nutrients can lead to symptoms such as: fatigue, mood swings, and insomnia. These symptoms are often seen as a natural sign of aging but may, in fact, be due to nutritional deficiencies. Moreover, these same deficiencies, left unchecked, can contribute to diseases such as: arteriosclerosis, high blood pressure, diabetes, and arthritis. Through dietary improvements and nutritional supplementation, the body’s incredible power to heal itself can ease the symptoms of deficiency and may reverse or ameliorate disease conditions. 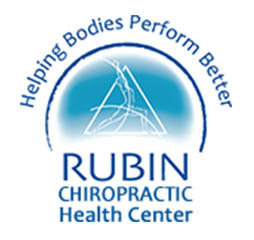 After you provide background information about the foods you normally eat, your exercise routine and any medical problems you might be experiencing, Dr. Rubin (who is who is DCBCN Elligible) will assist you with dietary improvements, nutritional supplements and setting personal goals to improve your nutritional intake. Any specific food related questions you might have, such as options for healthy snacks during busy days, grocery shopping tips and restaurant eating are also covered in detail.